NORTH WEST: The Hawks in the North West are looking for Lucas Luthi (could be false name). Between April and May 2016, Luthi would go to the Taung Magistrate Court and parade himself as a lawyer. He proceeded to represent an accused before the Magistrate court on a fee which was paid to him in cash . On 30 May 2017 he represented yet another accused who was appearing for bail application on a murder case. During the court proceedings, Luthi was called to the chambers by the Magistrate who asked him to present a Letter of Appearance from National Attorneys Roll and also his qualifications. The bogus lawyer informed the Magistrate that he is fetching the documents from the car, however that was the last time he was seen in Taung. 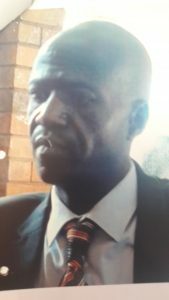 The Hawks are urging any persons with information regarding the whereabouts of the suspect to contact the investigating officer: Lieutenant Colonel DA Myburgh 082 492 4 36 or Warrant Officer Motlhaoleng 071 481 2696 of DPCI Klerksdorp Serious-Corruption Offence.